A federal representative who was arrested earlier this spring during a protest against Kinder Morgan is the latest to announce he’s running for mayor of Vancouver. 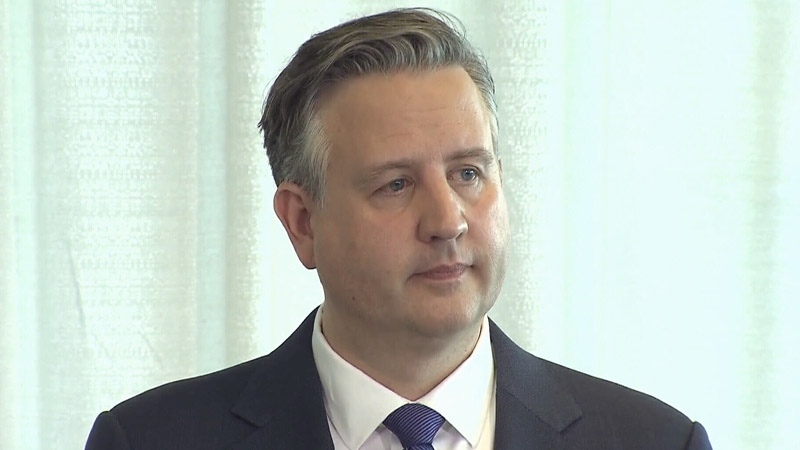 Burnaby South MP Kennedy Stewart announced his bid at a news conference Thursday morning, telling reporters he’ll be running as an independent. Calling it a big day, he said he was "totally stoked" about the decision, which he said he made after receiving several messages asking him to step forward. "(My wife) and I live in this city, we love this city, and I wanted to make it a more equitable place to live, work and play," he said during the announcement. "Not only is homeownership out of the reach of many, but just living here is a fading dream." Stewart said he'd focus on building affordable housing, protecting the environment and ending the city's opioid crisis. "I hope the people of Vancouver will give me the mandate to take bold action," he said. Stewart said he wants to work toward getting big money out of politics. He added he plans to fight back against those who see Vancouver as just a place to make a profit, then leave residents to clean up the mess – a reference to Kinder Morgan’s controversial Trans Mountain pipeline expansion. He called out the Non-Partisan Association specifically, likening them to Harper's Conservatives. "I know this because I fought the Conservatives in Ottawa, and we don't need the politics of division here in our city. We need people who care." The NDP MP has represented his riding for seven years, and currently serves as the critic for science and chair of the federal party's British Columbia caucus. Prior to his election, he represented the NDP in the federal riding of Vancouver Centre, though he lost the 2004 election. He said he has "deep roots" in the city, rents a home downtown with his wife, and has worked in the past for the city and local community organizations. Stewart said he's resigning from Parliament upon completion of outstanding duties so he can focus on the mayoral election. "It has been an honour to serve the citizens of Burnaby since 2011 as the MP for Burnaby-Douglas and then MP for Burnaby South," he said. "I am deeply indebted to all residents for their support and have done my best to serve the community to the utmost." Born in Halifax, the 51-year-old has a master's degree in political science from Simon Fraser University and a PhD in government from the London School of Economics. Stewart made local headlines recently when he was arrested for civil contempt along with federal Green leader Elizabeth May. 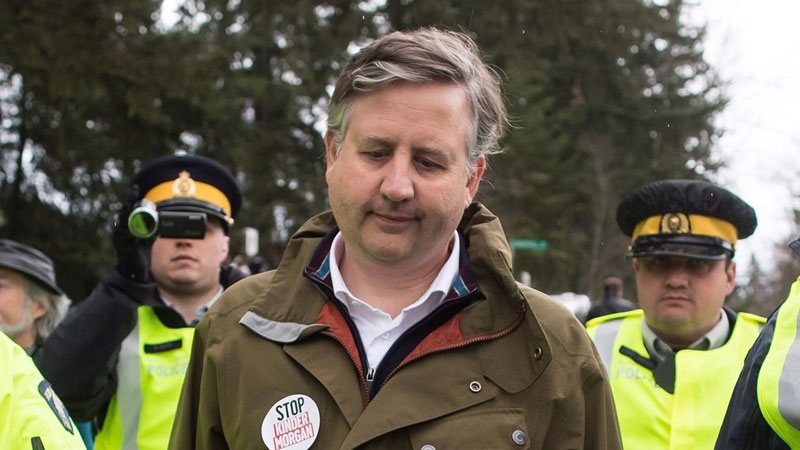 The pair of politicians joined demonstrators in protest against Kinder Morgan's Trans Mountain pipeline expansion on March 23, and were taken into custody briefly for violating an injunction meant to prevent protesters from blocking the work. Stewart and May learned last month that they and other protesters may also be charged with criminal contempt. The MP is the latest to throw their hat in the mayoral ring. Earlier this week, the Non-Partisan Association announced its members would be voting between candidates Glen Chernen, John Coupar and Ken Sim. Former Vision Vancouver board member Shauna Sylvester announced last month that she plans to run, and after the party announced it may not run a mayoral candidate, Vision said Tuesday it would. Poll results released last week suggested Green Party Coun. Adriane Carr was leading so far, with 35 per cent of respondents saying they thought she'd be a "good choice." Stewart, who had not yet announced he’d be running, had the support of just 10 per cent of respondents, though that still put him among the top five potential mayoral candidates in the Research Co. poll. Other favourites included Vision Vancouver Coun. Raymond Louie and independent Jean Swanson.